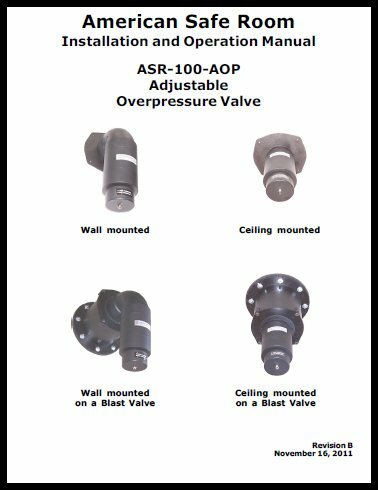 This adjustable overpressure valve is a one way check valve that installs on the outflow vent pipe of your shelter or safe room. It only allows air to flow out of, not into your protected space. It can be adjusted to increase the positive pressure inside your protected space. The positive air pressure is what resists airborne toxins from migrating into your protected space through cracks or holes in the shelter. 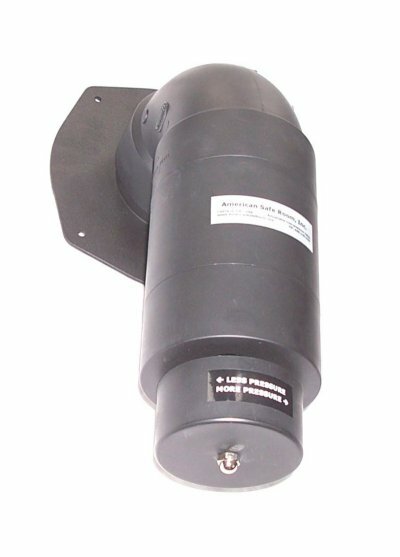 It can be attached directly to the inside wall or ceiling or on a blast valve. The adjustment cap is located at the bottom of the valve assembly. Tightening this cap increases the pressure in the protected space. This allows you to compensate for a shelter that is not entirely sealed up – within reason. This valve should be used with the differential pressure gauge. so you can see the difference in pressure as you adjust it. 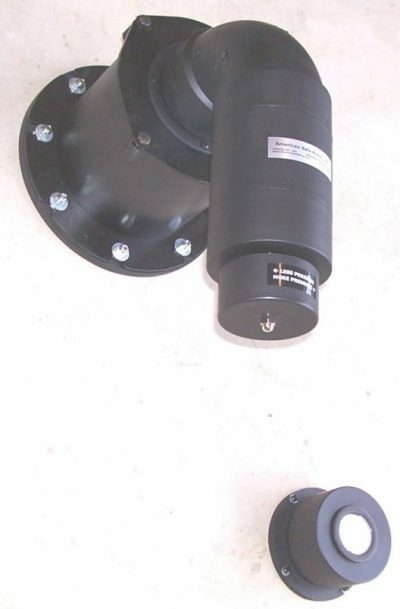 The overpressure valve must be oriented so it points at the floor because it partially uses gravity to keep the synthetic rubber diaphragm closed. 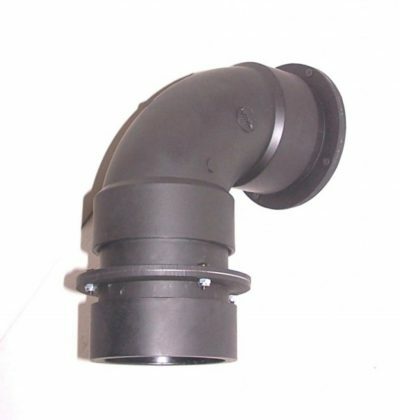 We include both wall and ceiling adapters. 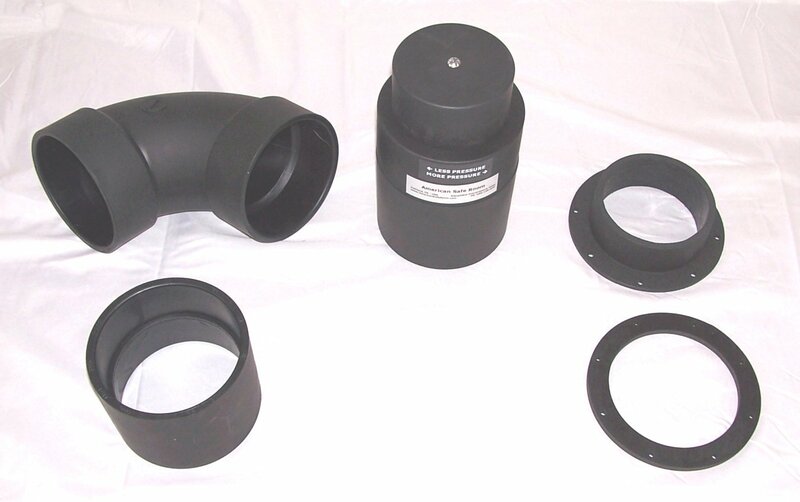 All joints between the overpressure valve, the adapters, and the blast valve are slip fit so they can be assembled or disassembled for cleaning or servicing without tools. This valve mounts exactly like the preset overpressure valve.